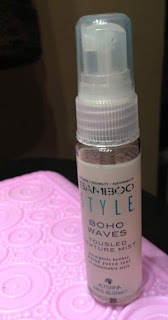 THE SKINNY: There are not many Alterna products that I don't like, so I was especially excited to see Bamboo Style Boho Waves in a recent Glossybox. 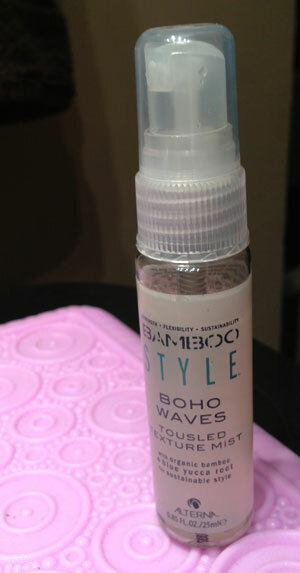 The light spray helps maximize natural waves for just-back-from-the-beach hair. I let my hair air dry for about 15 minutes before spritzing on the light mist and tousling my hair. The look was simple and natural. Plus Alterna's spray has a great refreshing scent that I caught light whiffs of during the day. One word of caution: Using too much of this product will leave hair a little on the crunchy side. KEEP OR TOSS: Keep ... and buy more. CHECK IT OUT: A few years ago, Alterna products were tough to find, but are now available from a variety of retailers, including Ulta and from Glossybox.